A light aroma of malt, biscuit, caramel, pine and citrus from the pour. 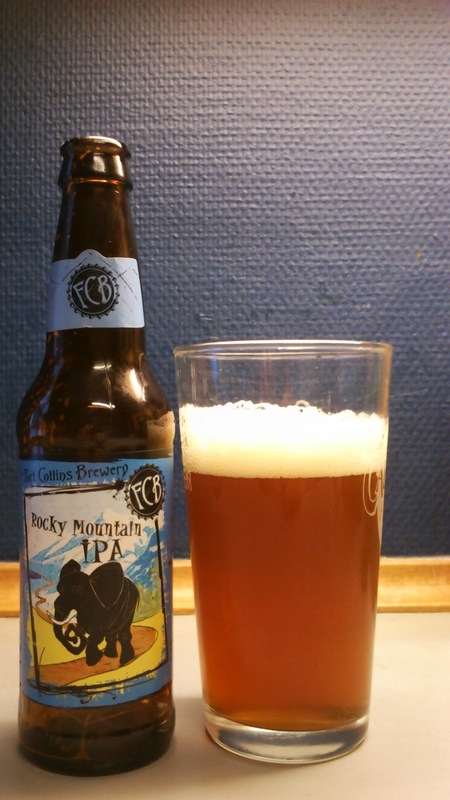 Rocky Mountain pours an orange amber with a creamy off-white head. Biscuity malt on the intake along with floral hops, pine and citrus while the finish is dry and quite bitter. This has a short aftertaste with pine, citrus and more of that malty goodness. Light to medium bodied the mouthfeel is light and creamy. 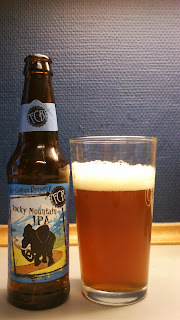 Another which is very malty for an IPA, though I don't mind that at all. Quite a mix of flavours which gave the tastebuds a good kicking with the bitter hops in the finish. I enjoyed this one so no hesitation with buying or drinking another. Summing up...starts all nice and friendly with malt biscuits, ends aggressive and bitter. Worth looking out for. This scored a generous 7.5/10 on the '1 down , 59 to go' Beerometer. Where to buy CPH : Seen in Fakta last week.